One of the most unique gifts you can give someone is the gift of nothing! We’re serious. You can give your loved one the joy of experiencing nothingness in the form of weightlessness and silence inside a floatation tank, designed to alleviate stress, boost creativity, release muscle tension and simply improve their wellbeing. You can get a gift voucher for any amount. Let them choose what to spend it on or chose one of our packages for them. Buy floats here. Massage is a classic gift for someone who deserves a little pampering. Add a unique spin by making it a chocolate massage for a birthday, anniversary or Valentine’s day gift. 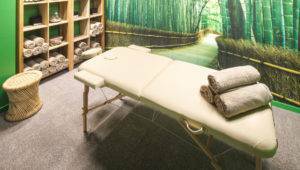 If your loved one is a sports fanatic, we’re sure they’d appreciate a deep tissue or a sports massage, and we don’t know anyone who has tried and didn’t enjoy our hot stone massage. You can purchase one of Float Culture’s massages here. Imagine how relaxed one would feel after an hour of relaxation in the floatation therapy pod, followed by a 45-min massage? Customers who have experienced our float and massage package left us with a smile and a glow on their faces. So if you’re looking to really treat someone, consider The Ultimate Relaxation Package (float + massage package). 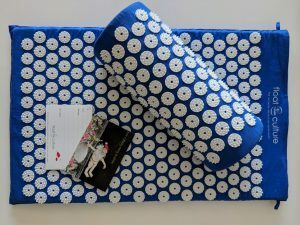 These mats are covered in tiny spiky rosettes, designed to relieve pain by stimulating the body. Acupressure uses the same principles as acupuncture, but the needles don’t actually enter the skin. These magic mats would be perfect for the yogi in your life! Conveniently you can buy them at the Float Culture centre for $65. Find us at 12 Water St, Grafton. How about gifting a relaxing drink with the ability to increase sociability, and feelings of peace and harmony without the loss of clarity? We’re talking about Kava, a drink made from powdered up kava plant root. Originally from the islands of the South Pacific, Kava is gaining popularity around the world as a non-addictive, healthier alternative to alcohol. 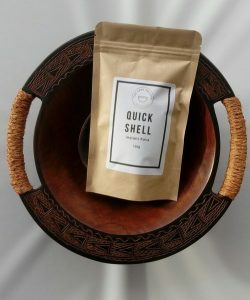 A lovely high-quality bag of kava could make the perfect Christmas/birthday gift for that mind and body-conscious person in your life. Easy to order online Kava Society. 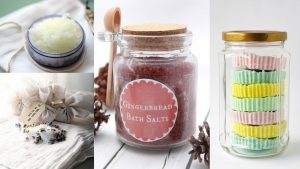 Epsom salt can make a great gift for athletes, beauty lovers, and gardeners. Because it’s rich in magnesium, a bath with Epsom Salt in it, can help improve sleep quality, and provide muscle pain relief – perfect for athletes! Mixed with soil, it’ll help improve plant health, which would suit a gardener, and you can even make a DIY foot scrub for the natural beauty lover in your life. Here’s a lovely recipe. Headspace is hands down the most advanced mindfulness meditation app out there, with clinically validated research and hours of content. There’s no-one who wouldn’t benefit from a thoughtful gift like this; athletes, professionals, insomniacs, and more. This one comes in at and for under USD $95.88. Audible is an audiobook subscription service, and would make the perfect gift for someone who already pays for it, or wants to read more but doesn’t have the time or energy for it. A monthly subscription is roughly USD15, so you can spend as little as USD15 for a month or USD150 for a whole year. If your special someone is environmentally conscious, we’re sure they will love this good-looking Bento lunch box from The Source, or this marble-effect stainless steel water bottle, also from The Source.